Ekushey Padak winning classical maestro Ustad Munshi Raisuddin was recalled and his contributions to music analysed at a seminar on Sunday at Sufia Kamal Auditorium of Bangladesh National Museum. Titled 'Sangeet Shikkha Prasharey Ustad Munshi Raisuddin', the seminar was organized by the Museum. Eminent music researcher Dr Jesmin Buli presented the key-note paper at the seminar. 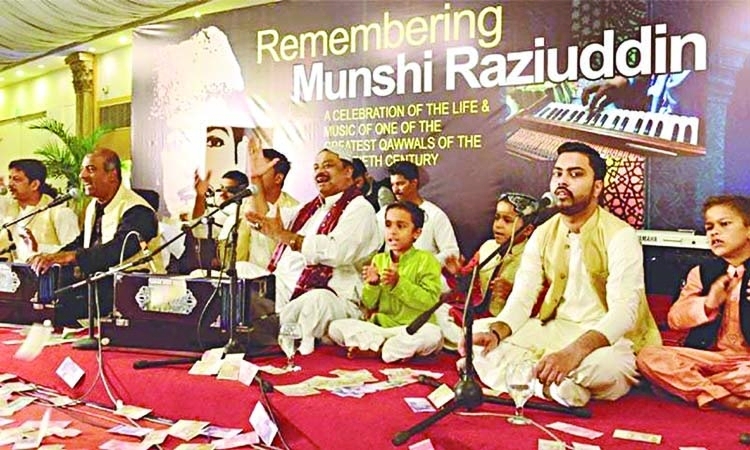 'Munshi Raisuddin was born in 1901 in a music practising family. His father, who was a classical and toppa singer, initiated Raisuddin into the world of classical music,' said Buli. 'He is credited to establishing a number of music institutions popularizing classical music. He also created a number of ragas and produced many bandishes based on these ragas,' added Buli. Ustad Munshi Raisuddin was a music teacher and principal of Bulbul Lalitakala Academy. He also gave lessons to music learners at Narayanganj Sangeet School, Little Jewel Nursery and Kolkata Sangeet Kalabhaban among others.In his illustrious career, the maestro also penned many books on music. 'Ustad Munshi Raisuddin's book titled Prabeshika Sangeetsikkha Paddhati has been one of the most helpful books for music learners,' said eminent singer Indramohan Rajbangshi, who was present as a special guest at the seminar. To note, Raisuddin penned around a hundred books on music including Saral Sabgeet Sar-Sangraha, Chhotader Sa Re Ga Ma, Abhinaba Shataraga, Sangeet Parichay and others. 'Raisuddin dedicated his life to music. 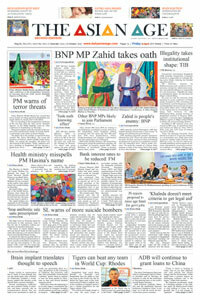 He tried to capture the root of music and wanted to spread it among the youth,' said music researcher Azad Rahman, who presided over the seminar.Cultural affairs secretary Nasir Uddin Ahmed was present as the chief guest at the seminar, while Raisuddin's son AFM Assadujjan Khan and Udichi vice-president Mahmud Selim were present as discussants.